The Cheyenne River Sioux Tribe has filed a legal challenge to the resumption of construction of the final phase of the Dakota Access Pipeline, which has been given the green light after months of protests against the controversial project. Energy Transfer Partners (ETP) resumed construction work late on Wednesday after receiving final permission from the US Army to proceed with building a section of the pipeline that will cross the Missouri River in southern North Dakota. 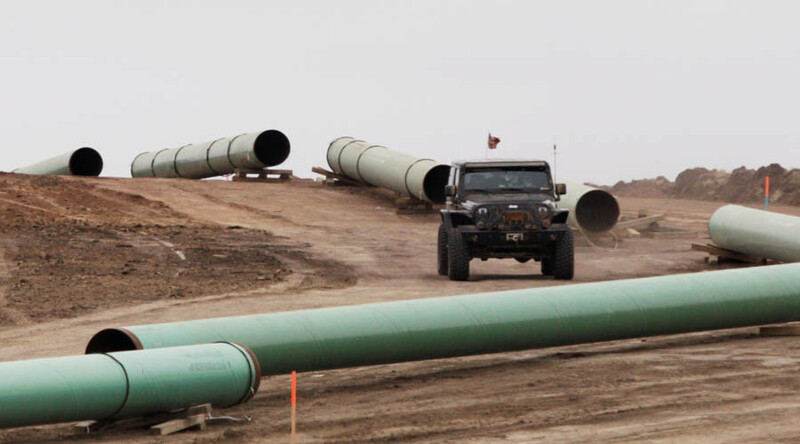 Trump signed an executive order in January that asked the Army to expedite the final permitting process for the last portion of the $3.8 billion pipeline. 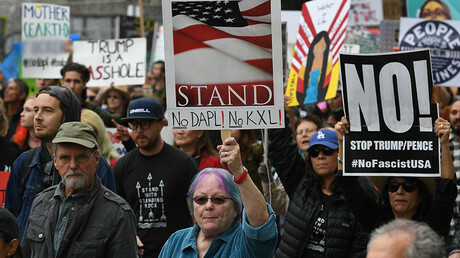 Wednesday’s easement was met by opposition from one of two Native American tribes fighting the pipeline, the Cheyenne River Sioux Tribe, which filed a legal challenge in a federal court in Washington DC on Thursday. The Standing Rock Sioux tribe, which has been demonstrating against the pipeline for months, has also vowed to continue the fight. “We will continue to fight against an administration that seeks to dismiss not only our treaty rights and status as sovereign nations, but the safe drinking water of millions of Americans,” tribe chairman Dave Archambault said in a Wednesday statement. The tribes, along with environmental activists, argue that the pipeline will threaten the community’s drinking water and damage sites of sacred significance, while ETP maintains the pipeline is safe. Protests against the pipeline began in April of 2016, many of which resulted in allegations of police brutality against peaceful protesters. Hundreds of arrests were made during clashes between demonstrators and law enforcement. 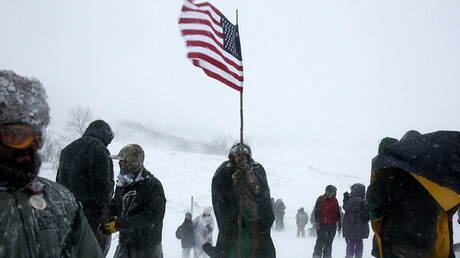 Protests were renewed in several cities on Wednesday, AP reported. Demonstrators in Chicago targeted a bank, while some in New York went to an Army Corps of Engineers office, where they were asked to leave when they began filming without a permit. Several people were arrested for blocking public access to a federal building in San Francisco. Demonstrators are still occupying a North Dakota encampment, though the Army Corps of Engineers has notified protesters that the government-owned land will be closed on February 22. However, a new camp is being established on private land, according to protester Payu Harris, who has been at the site since April. “This is not over. We are here to stay. And there’s more of us coming,” Harris told AP. However, Archambault has asked activists not to return to the site of last year’s protests and instead continue the fight in Washington where a rally will be held in March. “Our fight is no longer at the North Dakota site itself. Our fight is with Congress and the Trump administration. Meet us in Washington on March 10,” he said. Meanwhile, the governor of North Dakota, Doug Burgum, has urged “cooperation and restraint” from all parties, while requesting assistance from federal law enforcement to keep the peace during construction. Once complete, the 1,172 mile-long Dakota Access Pipeline will transport North Dakota oil across four states to a shipping point in Illinois.